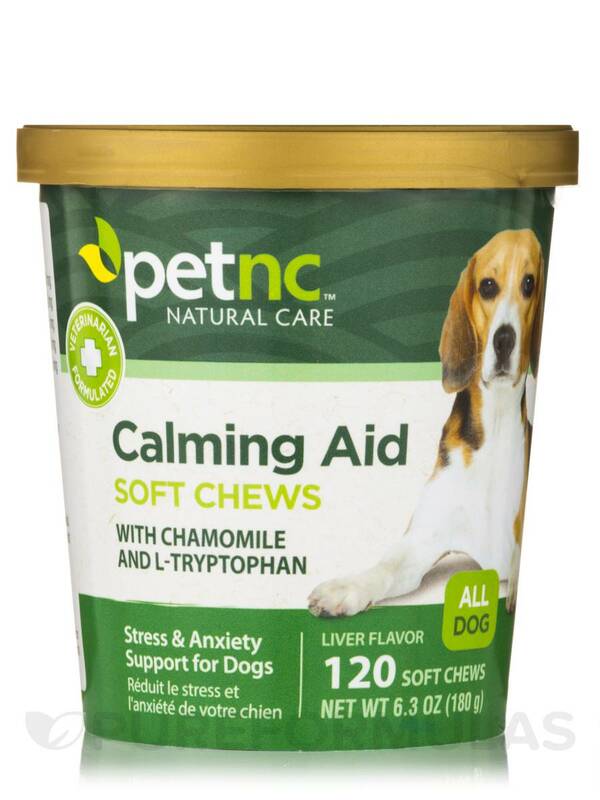 My mini-dachsies like Dog Calming Formula Soft Chews by PetNC Natural Care and they work at calming them, somewhat. Stress and Anxiety Support for Dogs! 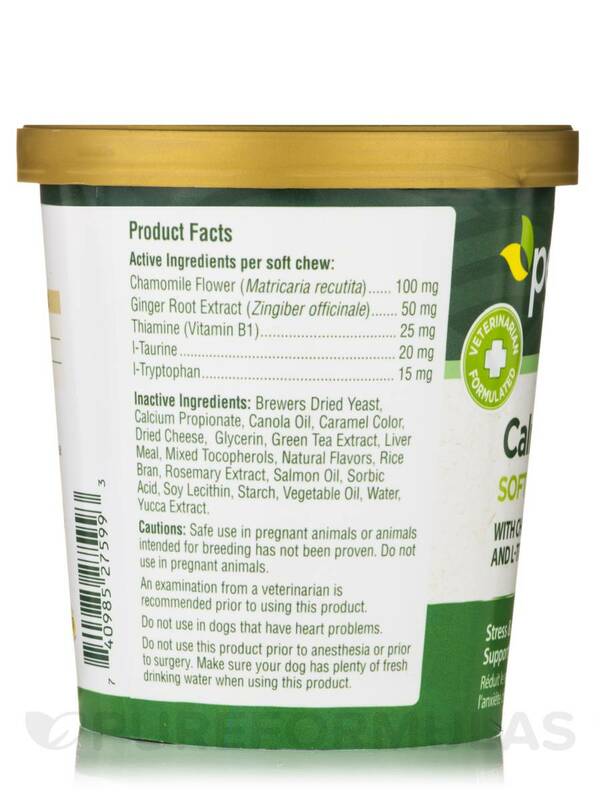 Inactive Ingredients: Brewers dried yeast‚ calcium propionate‚ canola oil‚ caramel color‚ dried cheese‚ glycerin‚ green tea extract‚ liver meal‚ mixed tocopherols‚ natural flavors‚ rice bran‚ rosemary extract‚ salmon oil‚ sorbic acid‚ soy lecithin‚ starch‚ vegetable oil‚ water‚ yucca extract. 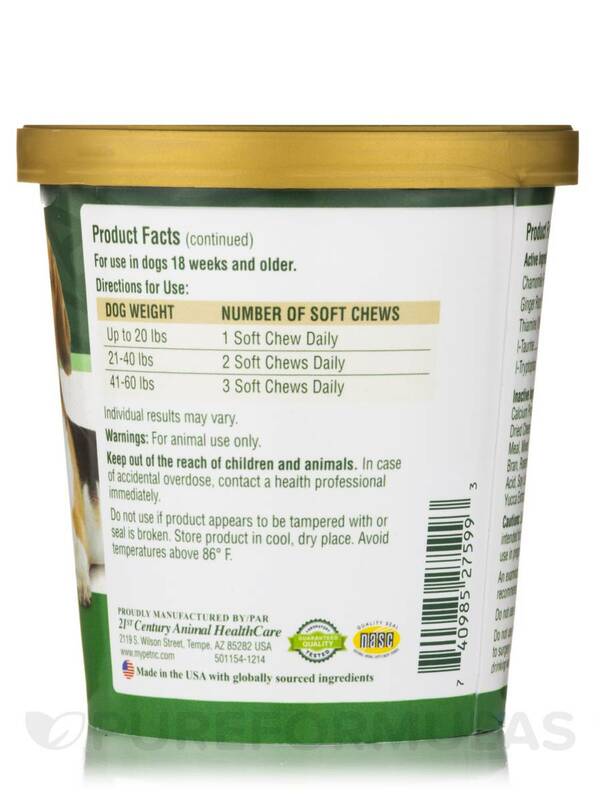 Up to 20 lbs: 1 Soft chew daily. 21-40 lbs: 2 Soft chews daily. 41-60 lbs: 3 Soft chews daily. 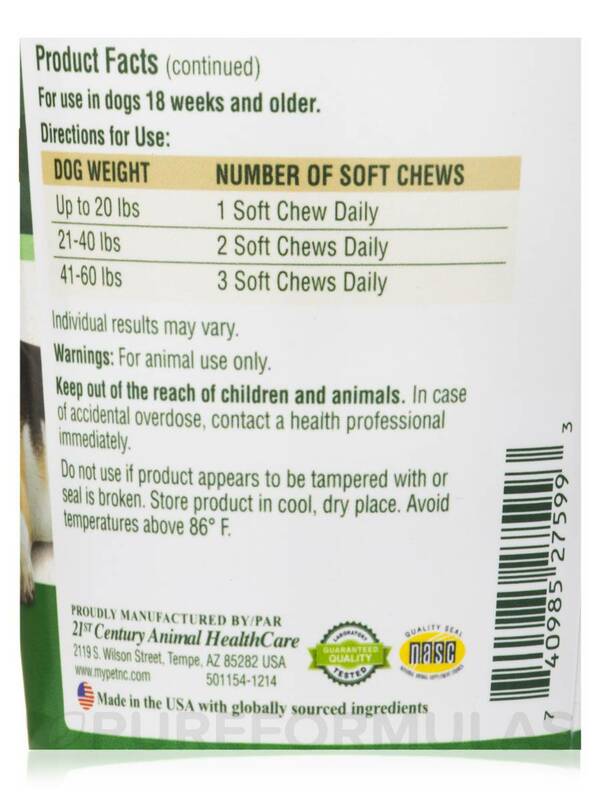 For use in dogs 18 weeks and older. For animal use only. Keep out of the reach of children and animals. In case of accidental overdose‚ contact a health professional immediately. Do not use if product appears to be tampered with or seal is broken. Store product in cool‚ dry place. Avoid temperatures above 86° F. Safe use in pregnant animals or animals intended for breeding has not been proven. Do not use in pregnant animals. An examination from a veterinarian is recommended prior to using this product. 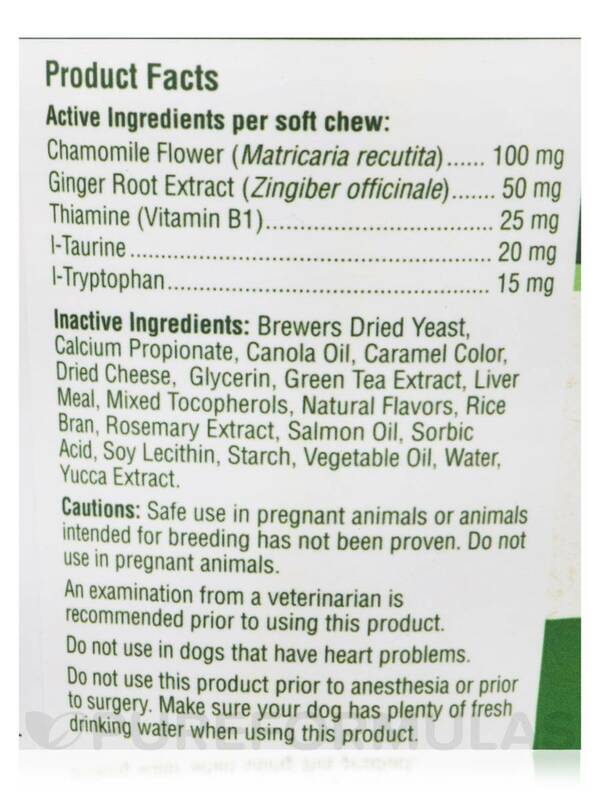 Do not use in dogs that have heart problems. Do not use this product prior to anesthesia or prior to surgery. Make sure your dog has plenty of fresh drinking water when using this product. Pups like them & they do some good.